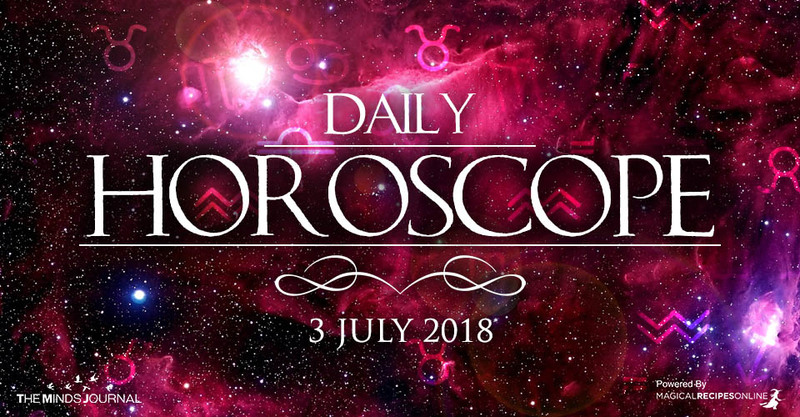 General Daily Predictions: Today, the Moon entered Pisces, making this day more sensitive and dreamy. Illusions may cloud our judgement but our intuition somehow will find a way to show us the right choice. Empaths will become more powerful and we will have the chance to develop their skills even further. Cancer, Scorpio, Taurus and Capricorn are amongst the ones who are more favored during this couple of days. They will have the chance to catch their breaths especially after what they’ve experienced in the Strawberry Full Moon. But let’s take a look to each zodiac sign individually. Listen to the spirits. Click here to see what they can tell you today. Today you will have the chance to focus on your deepest and most secretive emotions. It’s a great chance to put your intuition at work and listen to your heart’s vibes. What does this inner voice tell you to do? Pay also attention to your dream and let the spirits guide you. You might be close to a huge revelation. Although you’ve entered a rather creative and satisfying phase of your life you might have neglected your friends. However, during this couple of days you will have the chance to reach for them and have some fun. Moreover, you might get to meet new interesting people. This is a great chance for you to show everyone how much you can accomplish in your work. Although responsibilities might seem unbearable you need to focus on your work and see how much your can accomplish. This is the time for growth and new interesting endeavors. In the next couple of days you opportunities might knock your door. Be ready to move forward and become creative once again. Long distance travels, or travels over the sea are favored along with communication with foreign countries. For the next couple of days you will feel your instincts waken up. Something inside you – something you might have even forgotten its existence – is back again to remind you that life is a game. You are the player and sometimes your might have to take some risks. With the Moon right opposite from your Zodiac Sign it seems impossible not to focus on your most important relationships and your partners. Although they demand attention you should also try to find some balance between you and the needs of others. After all, you should live by the rules of others. This is a day you need to focus on your daily routine. Something is waiting for you in the most unexpected – dull place you can imagine. Everyday life and usual transportations become important for you right now. Well, today there are opportunities to have much fun and feel satisfied. If you are single, flirting is quite promising too. The Moon from your friendly Pisces makes you adventurous waking up something inside you which thirsts for life!